Sink your teeth into an amazing ‘out of water’ shark experience! Whether sharks fill you with fear or fascination, Planet Shark: Predator or Prey will have you hooked from start to finish. Leave the outside world behind as you dive into the incredible underwater world of sharks – without even getting your feet wet. Trace millions of years of evolution, come face-to-face with the Great White shark, learn the true impact of the shark fin trade and gain a whole new level of respect for the ocean’s oldest and most effective predator. 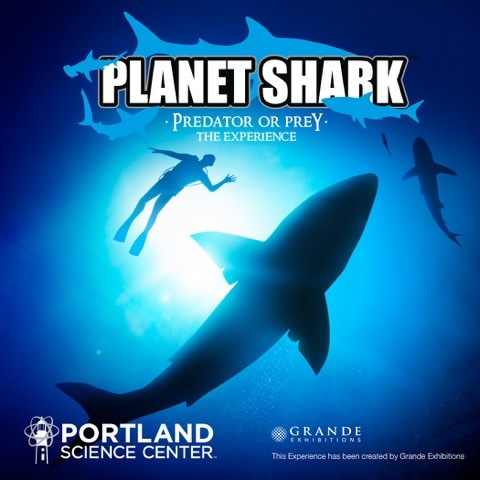 Produced on a size and scale never seen before, Planet Shark: Predator or Prey includes awe-inspiring shark models cast from real animals, an extraordinary collection of real teeth and jaws, and extremely old and rare fossils – some up to 370 million years old. Incredible high definition underwater footage features some of the most stunning shark and natural history imagery ever captured. The experience will leave you deeply immersed in the story of this magnificent yet sadly misunderstood animal. This ground-breaking exhibition could not have come at a better time. Years of fishing pressure and media misrepresentation have pushed the shark to the brink of extinction. Their last hope lies with public education and awareness – and the launch of Planet Shark: Predator or Prey is the vital first step. Don’t miss out on this unique opportunity for young and old alike. 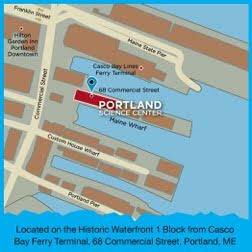 Portland Science Center 68 Commercial St.
© 2019 ShowClix on behalf of Portland Science Center. All sales are final. Tickets are non-refundable.